My thoughts on the second studio album from Q’ulle. There was a point in the past few months where I wasn’t even sure that I’d be writing a review on this new album from Q’ulle. 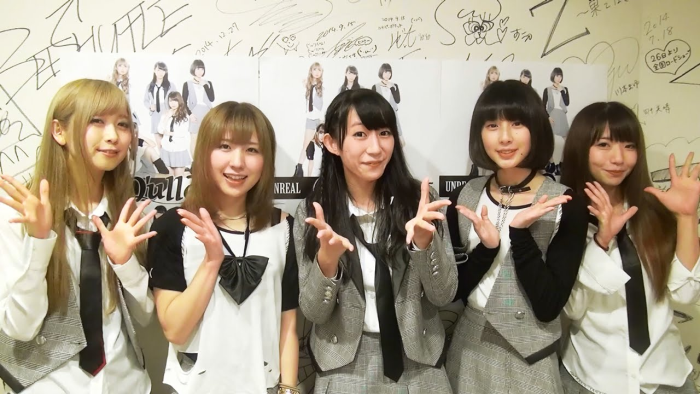 For those not in the know, Q’ulle have been signed to the KADOKAWA group for pretty much their entire existence up to this point. If you’re at all interested in Japanese pop culture then chances are you’ve come across many of KADOKAWA’s vast portfolio of properties in your time as a fan. Well, unfortunately for Q’ulle they’re not one of those properties anymore. The details are fairly vague, as is to be expected but here’s a rundown of what I understand to have happened. Basically, while in the middle of their “other side of HOPE” tour, Q’ulle made a rather out of the blue announcement on their Facebook page that they were being dropped from their label. Obviously the reasons weren’t divulged, but if I had to take a stab at it I would have to imagine that it was likely a revenue issue of some sort (most likely KADOKAWA not being happy with the financials). Anyway, at that point all that was known was that the tour was definitely going to continue to its conclusion but everything else, like the release of this album was very much up in the air. Well, thankfully it appears that Q’ulle are sticking around. They announced at their “other side of HOPE” tour final that they’re holding a “Re:Start” live in January and that they’ve apparently secured a new record label. Oh, and they’re performing with a live band now too I guess. Good news all around I think, unless you hate Q’ulle and were hoping they’d go away or something. Anyway, that’s enough of a set-up for this review, let’s get into it. The album opens with “ALIVE”, which I reviewed when it came out as a single earlier in the year. You can go here for the full rundown, but the short version is that I found the song to be very enjoyable. I liked the EDM instrumental a lot, because it’s pretty damn catchy in my opinion. I also think the song has a great energy to it, which for me is something that I really look for in music because I listen to get myself pumped up and in a good mood. This is definitely a solid entry in the Q’ulle discography and given recent events that I talked about previously, the title is somewhat amusing in that context. “Dance in the Night” is the album’s second song and is also the first new song that we’re presented with. The song certainly lives up to its title, with a pounding synth beat that I imagine today’s youth would have no trouble dancing the night away to in some dimly lit nightclub or other. The vocals by comparison are actually quite subdued for the most part, which creates a pretty nice contrast. There’s a bit of vocal modification here and there for effect, but for the most part Q’ulle are allowed to show off their talents without too much production getting in the way. We’re off to a pretty good start as far as the new material is concerned. Up next is “Reset”, which again given the previous context is a fairly amusing song title. I believe this is another new song and this time Q’ulle are dipping their toes into the Rock genre. It’s a very passionate sounding song, with a nice amount of intensity backing it up. I was a bit surprised to hear some screaming on this track, as that’s not the usual Q’ulle MO but hey I’m all for groups doing different things and expanding their sound. Once again, the vocals are left to shine on their own and they definitely do just that. That’s not to undersell the instrumental either, because that’s pretty damn good too. If you’re into your Alt Idol stuff, maybe give this song a try. Following on from that, we have another older song in the form of “UNREAL” which was released as Q’ulle’s 4th single about a year ago now. This one is another of the more Rock-heavy numbers from Q’ulle’s discography but it also mixes in a couple of elements from their more EDM flavored side. The vocal delivery on this track has plenty of attitude behind it which helps add to the song’s harsher personality. For a harder sounding song, “UNREAL” is also pretty catchy so I think they managed to get the balance pretty spot on with this one. 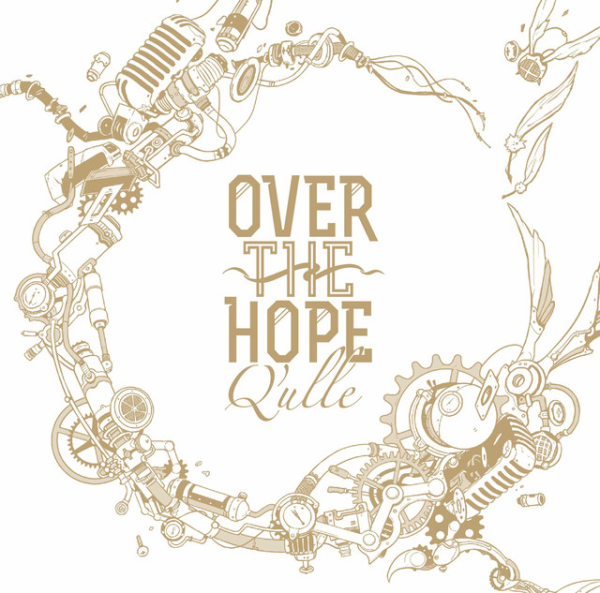 This is one of my personal favorite Q’ulle songs so I would encourage you to check it out if you haven’t already. “Say Yeah” is our third new song and we’re not even half way through the album yet. I’m not sure about you guys, but that’s a pretty good ratio if you ask me. This is another Rock influenced piece, but with a slightly lighter tone than what we’ve seen previously. There’s also a subtle element of Punk running through the song, which is most apparent when it comes to the chorus. While I wouldn’t say this song is quite as catchy as “UNREAL”, they’ve still done a good job to make it enjoyable to the ears. Q’ulle have their comfort zone, but the music has plenty of twists to keep it sounding fresh. Someone feel free to correct me if I’m wrong, but I believe that “HERO” is also an older Q’ulle song? I think it was the theme song for a movie or something but it hadn’t had a proper release until now. In any case, “HERO” is positively sedate compared to all of the other songs on this album thus far. I guess you’d say that this is the Q’ulle version of a J-Pop ballad (is ballad even the right term to use?) and honestly, it’s not that bad. You can definitely get the impression that it would be used as the theme song for some kind of movie or television drama. I have to say though, I did dig the little piano solo deal they had in the middle of the song. Not my favorite Q’ulle song ever, but it’s alright. We’ve hit the half way point of the album, and things are just stupidly good up to this point. “Extension”, yet another new song, more than keeps the ball rolling on that front. Even if you don’t like Q’ulle, you have to admit that they have the Synth/Piano/Rock formula perfected almost to a science. This is another song in that framework, but once again it sounds totally different to all of Q’ulle’s other work. The instrumental on this one is once again just so great, and all of the vocal work and how the song is put together really just makes you stop and wonder if Q’ulle really were just an internet dance group not so long ago. “Saiseiron” has the unfortunate task of following up one of the best songs I’ve heard all year. I reviewed this song along with “ALIVE” in the article that I linked earlier in this review. I really liked the harder EDM style that they used for the song, it makes it stand out a little bit more in the sea of other EDM songs that are flooding the music market in the last few years. Once again there was also some solid vocal work put in on this song, which is definitely never a bad thing when it comes to Idol music. Sure, it’s maybe not the most groundbreaking song ever but “Saiseiron” definitely stacks up against Q’ulle’s other output. Next we have yet another new song, how many is that? I’ve lost count, but it feels like a lot. Anyway, “Wonderland” lives up to its title by being a pretty wonderful song. It’s a kinda mid-tempo deal, not too slow but not super upbeat and fast paced either. The vocals are delivered very passionately and there’s lots of time for individual voices to shine. The Pop-Rock style instrumental is once again just a little bit different to the other songs on this release. It’s fairly powerful but also doesn’t get too much in the way of the vocals which are obviously supposed to be the star of the show here. I could see this getting picked up to be the theme song of some show or other, some good mainstream appeal here. “COLORS”, the album’s 6th brand new song out of the 10 I’ve written about so far is another slightly slower effort. Me saying that probably makes you think that it’s a lethargic ballad or something, but that’s not actually the case. The instrumental track actually has a pretty good beat to it and whoever does the piano work on these tracks is once again putting in a great performance. I do feel like the instrumental upstages the vocal performance in some places but as far as slower tempo songs go, I really don’t mind this one at all. Definitely not going to crack my favorite Q’ulle songs of all time list or anything like that, but this is a pretty neat little song. For the penultimate song, we have “OVER” which is yet another brand new song if my information is correct. That’s 7 new songs on a 12 track album, that’s like a 60/40 ratio or something man. Anyway, this song starts out a bit on the slow side too but as it gets going it actually gets a pretty nice groove to it. There’s some pretty complicated vocal delivery in this song, that sometimes verges on totally falling apart if I’m totally honest. It doesn’t actually do so though, which is probably a testament to Q’ulle’s vocal talent and their producer’s skills behind the mixing desk. This song kinda feels like it could have been a very solid closer to this album, or maybe even a live show. “OVER” isn’t the closer though, that privilege falls to “HOPE” which was one half of Q’ulle’s 4th single alongside “UNREAL”. Man, all of these unintentional references to the current position that Q’ulle find themselves in from a business standpoint, mad. Well, “HOPE” does pretty much what it says in the song title. This is a pretty hopeful sounding song although I’m not sure if I would have personally closed the album out with 3 slower songs in a row, but that’s just my opinion. I really enjoy the vocals on this song in particular, there’s bucket loads of passion behind them which is something Idol music could do with more of. That one guitar tone is crazy too, you know the one. For my money (I can say that because I did actually buy the album), this is one of the best releases of 2016. If there’s a bad song on this album then I can’t find it, so good job if you’re somehow able to. It would have been an absolute tragedy if Q’ulle had broken up either before or shortly after this album came out. I have no idea what their old record label thought was wrong with the group, but their loss is going to be someone else’s gain. Q’ulle’s future is still fairly unknown, although things do sound a lot more secure than they did a month ago. That being said, I’m sure they’d really appreciate it if you chucked some money their way. Hopefully this change of label and all that other junk going on doesn’t mean we’re going to have to wait a year for the next Q’ulle release, or anything like what happens with other groups who go through major management changes. They’re one of the best groups in the scene right now and should be releasing music regularly instead of having to deal with all of this nonsense.